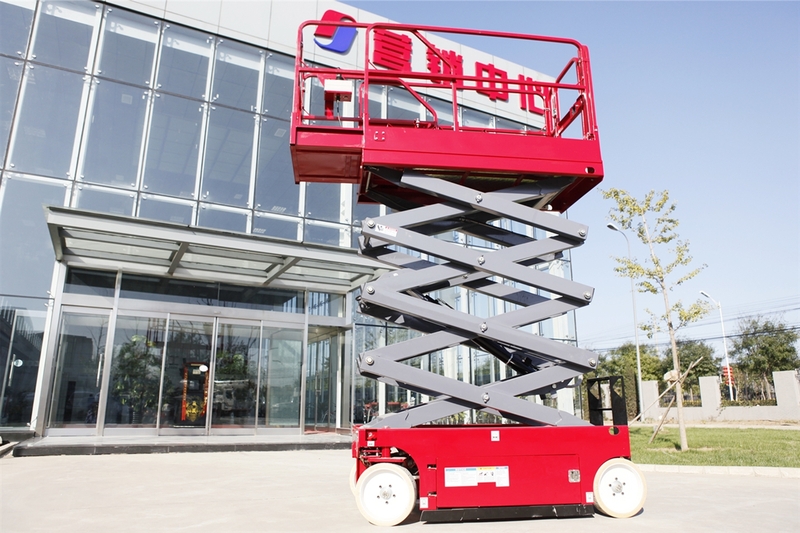 GTJZ scissor lifts can travel at slow speed and rapid speed self propelled. Only one person is needed to lower, raise, forward, backward, steer the machine. It improves working efficiency and reduces man-power and labor intensity greatly. Ti is especially good for long time work at airport terminals, stations, docks, shopping markets, stadiums and work shops.